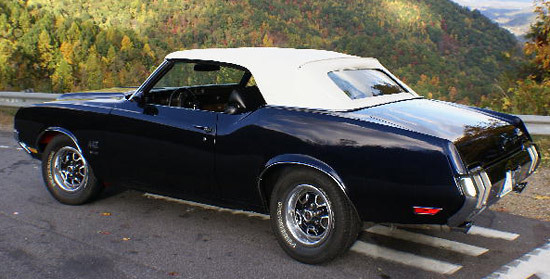 Even five years after the sale of this magnificent muscle car on ebay (auction item 330199091325), of all the pages of the dozens of websites that I host, this page with details about the car, even as a blind URL, still got the most hits. Now that I’ve converted my Woodward Creative website to wordpress, it treats the directory as an imposter, so I’m making a special post for it. Dave is retired from running his auto repair and restoration shop, and now kayaks, plays music, and is an inspired photographer, too (these are his photos). This car draws admiration wherever it is; folks just can’t keep from staring! Rebuilt with new original parts and new technology to improve the performance of the suspension and engine compared to how these machines rolled off the assembly line in 1970. 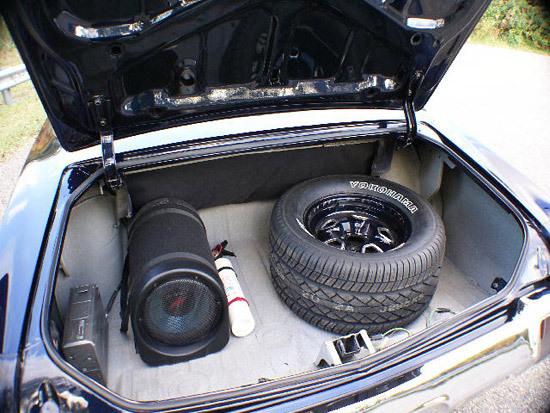 Equipped with an oil-pressure accumulator. It has fewer than 2000 miles since the rebuild. 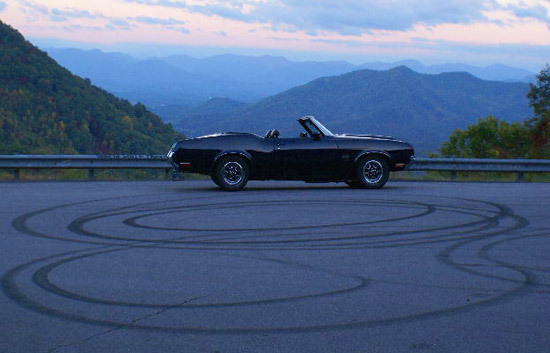 She breaks the tires loose in 3rd gear. 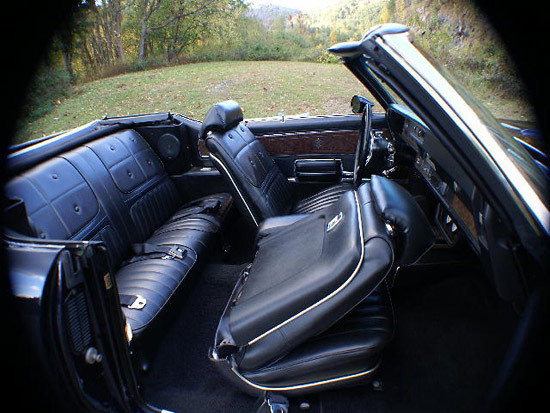 My ultimate dream car — the 1970 Olds 442 W-30 convertible. 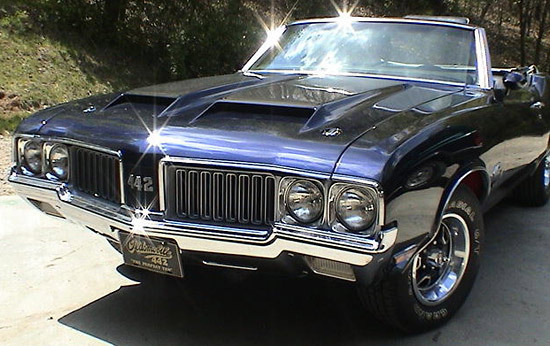 I’ve had a love for Oldsmobiles all my life and have owned and restored several — 442 has always been my lucky number. I’ve worked on cars practically since I could hold a wrench and I’ve made my living as an auto mechanic for 25 years. This particular model was my dream, so 20 years ago I set out to create the ultimate “W” machine (clone) from scratch. I bought this car from the original owner in 1989 in Atlanta GA, dismantled it, and started the restoration. 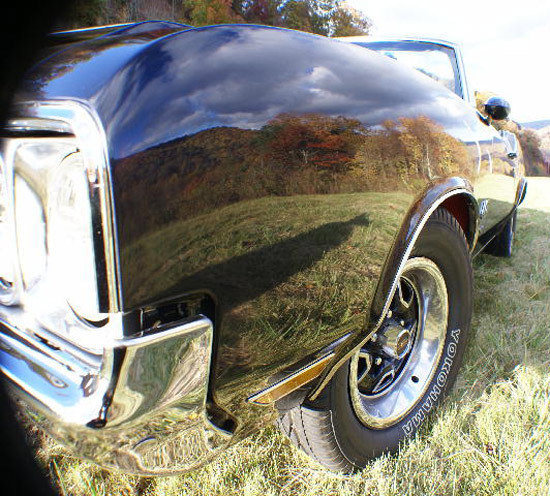 The suspension of this Olds uses the beefy spindles from a 1976 TransAm, re-tapered to fit the lower balljoint, increasing stability and handling. I also replaced the swaybars, front (1.25-inch) and rear (1-inch). The balljoints and tierod ends are all new. The rear control arms are boxed and factory correct. I replaced all the bushings, front and rear, with polyurethane, and the rear bushings have the extra fillers to reduce deflection and axle hop or wobble. The steering gearbox is rebuilt and is a close-ratio 3 turn lock-to-lock, w/IROC valving. And I put in a new coupler and rebuilt pump with a new pressure hose and return. The tires are Yokohama P295/50r15, including spare. The rims are 15 by 7 Olds Rally, including spare. The brakes: I’ve replaced the rotors, wheel bearings, calipers, wheel cylinders, brake pads, shoes, all flex hoses, emergency brake cables, master cylinder, and brake booster; then topped it off with silicone brake fluid and an adjustable proportioning valve. 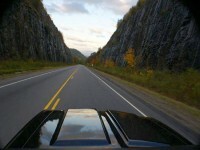 The boost for the brakes comes from an electric vacuum pump, as the camshaft is not a high vacuum-producer. 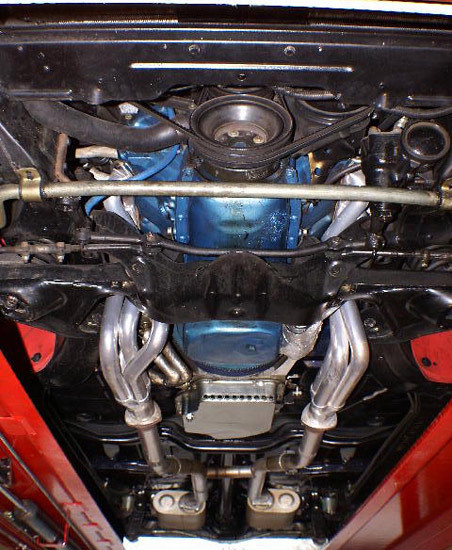 The rear end is a 12-bolt posi with 342 gear set, alloy axles, Eaton worm gear style posi center section with all new components except the housing. The driveshaft is new, made at Asheville Powertrain. The engine is a period-correct F block with E casting heads — The E has been modified to resemble an F. Starting at the bottom, the starter motor is a gear-reduction high-torque type with a heat blanket. Both the motor mounts and the transmission mount are new. The oil pump is a high-volume Melling with dual remote oil filters and a 3 qt. OIL PRESSURE ACCUMULATOR with electric valve. Due to the improved suspension & steering and the high-performance motor, oil would be drawn away from the pump during heavy acceleration and the G-force of turns. 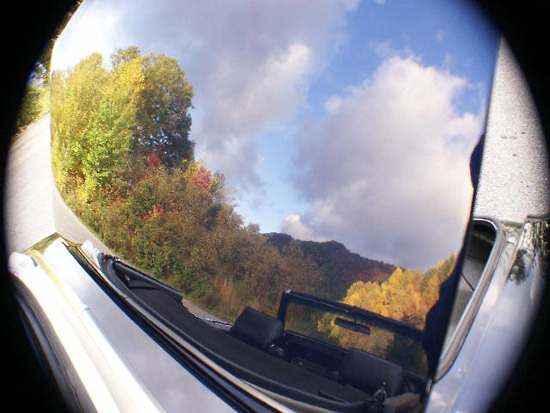 The oil pressure accumulator keeps oil pressure in the engine under these conditions, and it prevents dry starts, by pressurizing the oil before cranking the motor. The bottom assembly is balanced, and has TRW-forged 10.25 compression pistons (0.30), fluid dampener, true double-roller timing set, original GM-grind W-30 4-speed camshaft, cam button, Crane cams, roller rockers with guide plates and adjustable fulcrum, new pushrods, Mondelo stainless steel oversized exhaust valves and seats. Triple-valve springs with Kennebell no-wiggle retainers and Teflon seals. The heads are ported, polished and c.c.’d to be balanced. The intake manifold is a Offenhauser 360-degree dual-port, also ported and polished. The carburetor is a Mighty Demon 850 dual annular with 4-corner idle and idle ease adjustment. The air filter is a K&N as is the filter lid. 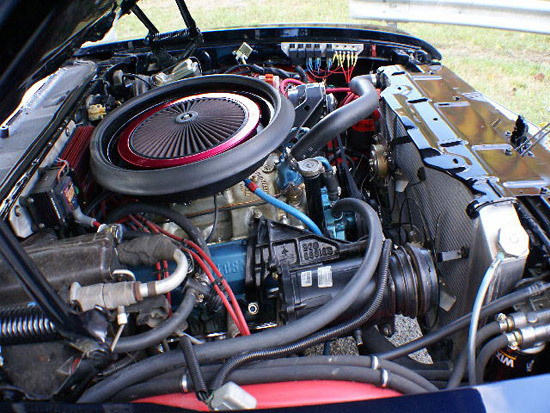 The seal to hood is a Chevy GM aftermarket, not an Olds-type air cleaner. 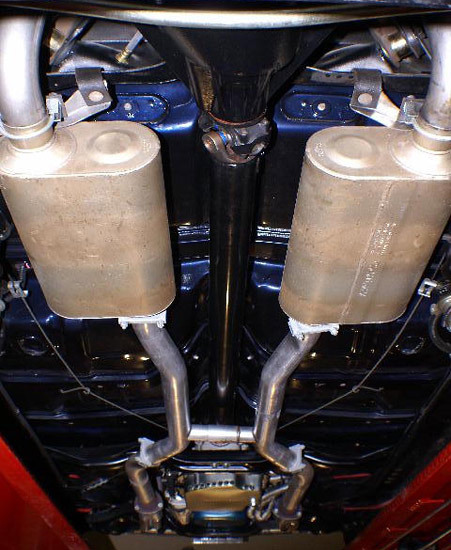 The exhaust is a mandrel-bent 2.5-inch Flowmaster series with Dynomax ceramic headers. The transmission is a TH400 with a 2500-rpm stall converter, completely rebuilt with B&M master overhaul kit using type F trans fluid. 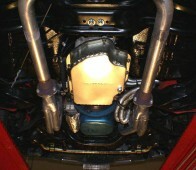 The oil pan is vented and also has a remote oil cooler. The fuel system has dual in-tank pickups serving separate Carter fuel pumps, one feeds the primary side, the other the secondary of the carb. 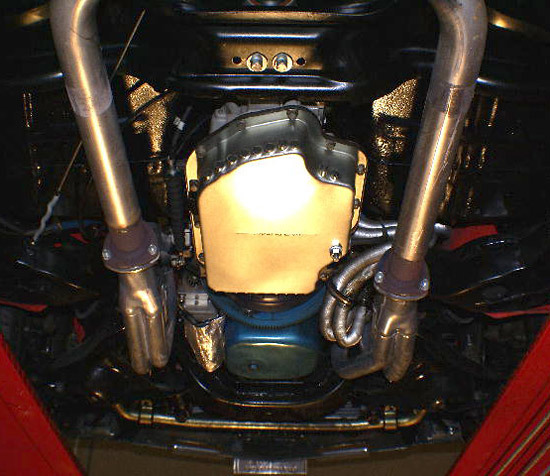 The engine compartment has all twist-lock fuel lines and fittings. The cooling system has dual 14-inch electric fans with the circuit breaker and relay system controlled by adjustable thermo switch mounted to a Be Cool 4-core aluminum radiator. The ignition system has a MSD digital 6al Multi-Spark controller with rev-limiter, spark retard, remote spark advance control (by shifter) with electric bypass switch to lock out adjustability. Fired by a Mallory Unilite centrifugal-advance distributer, ignition wires are MSD 8.5 mm with heat shields on boots. Coil is a MSD Blaster HVC. 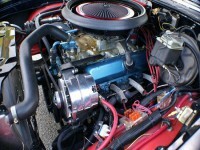 The alternator is a 140-amp Powermaster; and battery is an Interstate sealed gel type. The wiring harness is new in the engine compartment. This solid Georgia car needed very little rust repair, so I stripped the body and frame, and welded new metal in the rear quarters in a 6-inch area, and replaced the front fenders with new GM originals. 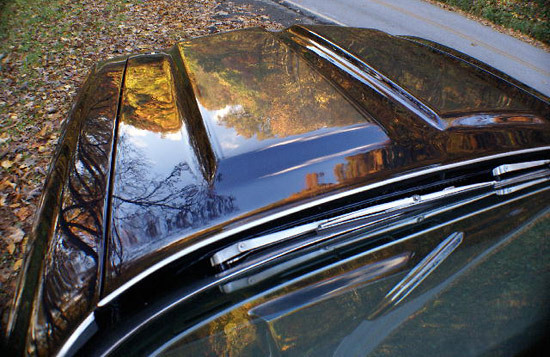 The Ram-air hood is an original GM, not an aftermarket. The windshield is new. The paint is Sherwin Williams base-coat clear-coat: Midnight Blue (a deep blue that has a purple flip in the sunlight) with dark gold stripes, a color called Espresso Gold. I’ve wet-sanded and buffed the car twice and still feel it needs more work, but as a whole the car looks pretty good. The paint is about 4 years old and the car has been garaged the last 18 years. I chip-guarded the wheel wells and the lower 4 inches of the body and painted the underside of the body the same Midnight Blue as the rest of the body. I replaced all the body bushings and hardware. 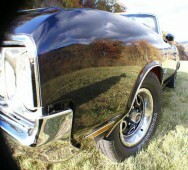 The chrome has all been replaced except the trunk edge, rear hood and the convertible surround. 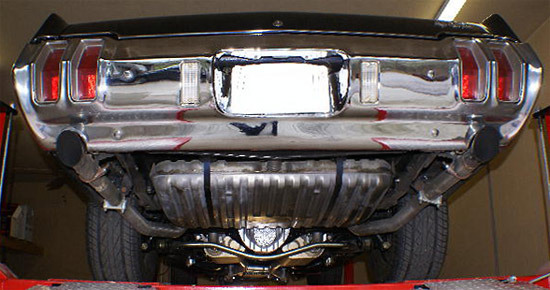 The front bumper is new GM, the rear is aftermarket, the fender front and rear chrome is new NOS as are the hood brows, hood locks, center caps, grills, headlamp bezels, and light housings are new aftermarket. The emblems (442, W-30) are all new GM. 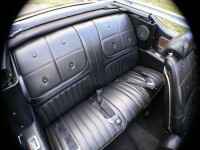 The weatherstripping has all been replaced on the trunk, doors, lock handles, and the convertible top. The window felts, inner and outer, have all been replaced as well. The top is from a quality parts distributor and has some wrinkles that I’m unsatisfied with. This also is my first convertible top replacement, so some fit and finish is experience-related and some may be manufacturer-related. The pump and cylinders are original and work well. I stripped and refinished the convertible top frame, installed new tack strips, pads, cables, boot and rear glass window. The interior has original door panels, new carpet and underlayment, the seats were stripped, sand-blasted and repainted, the buns were replaced and all new covers installed. 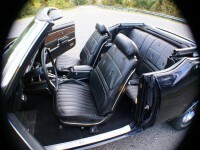 The chrome headrest inserts, seat releases and window cranks are new. The shifter is an original dualgate with a new cable. 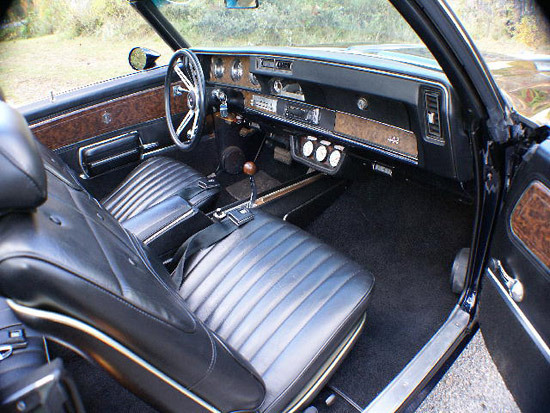 The steering column is original GM tilt. The 8-track player was removed (sorry!) and Phantom-brand gauges installed in its place. The stereo is a Pioneer with a Pioneer 12-disc changer with voice recognition, Infinity speakers, and a Kenwood 12-inch self-powered sub-woofer. The windshield-wiper motor is original and runs slow. The ventilation system heater core is leaking and needs replacement (I have the part, and this would come with the car). The a/c compressor is a new (remanufactured) 4 Seasons unit, but has a bad hub bearing. The dryer is new and system is capped off. The a/c lines are original and are not installed on car. I can see minor imperfections in the paint on the trunk lid (ghost holes near the bottom trim). 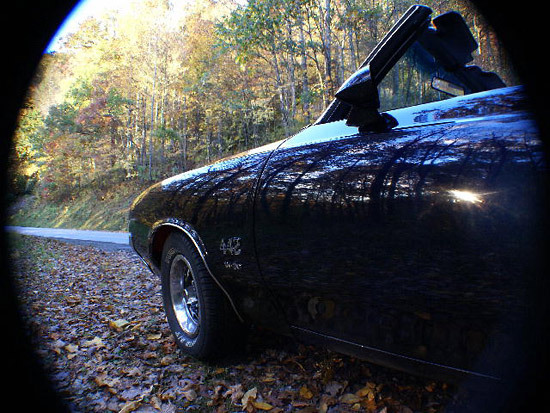 These final details leave the car unfinished, but I drive it on nice days, with many smiles and the tires smoking crispy creamy doughnuts… If it’s not obvious, I love this car; I’ve been restoring it for 18 years with all the best parts and upgrades. The car speaks for itself — it looks awesome and drives awesome, and I always receive compliments wherever she goes. Many days went into this car making it the best it can be. Yes, and feel the rumble, too! He could turn that hotrod around inside of a garage, burning rubber, without smacking into a thing! 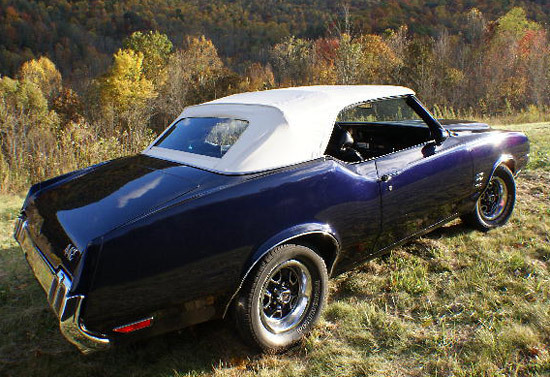 I have a 1970 Olds 442 with the factory Ram Air Hood and I was wondering where you got the intake seal & pan for the carb to hood seal???? Very nice and very interested! !